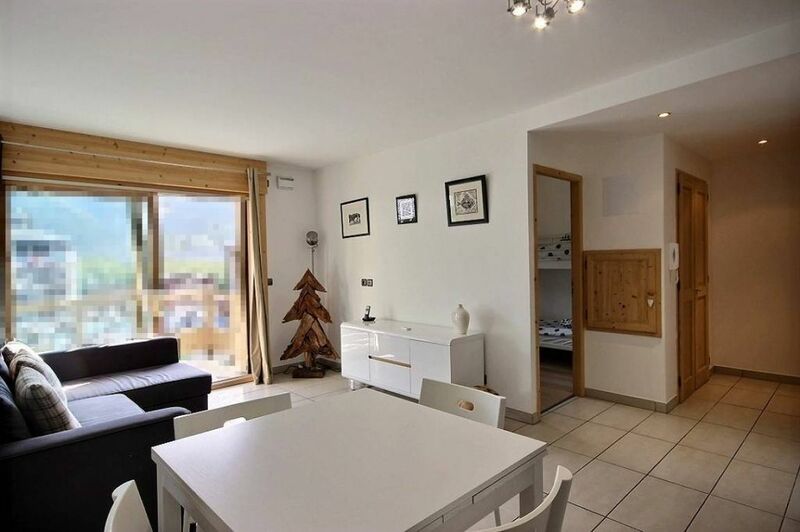 In a new and secured residence close to all the facilities, very nice 3-room apartment comprising a living area with fitted kitchen and large balcony facing the mountains, two bedrooms, a shower room and a toilet. Cellar. It is possible to purchase a garage in the residence on top. Ideal location close to the station, the funicular and all the shops, bars and restaurants.